Like Thai food? Then you're definitely going to like the new fragrance from Jo Malone. Their latest iteration -- inspired by the diverse flavors of Thai cuisine -- is named Sweet Lime & Cedar. I'd been curious about this fragrance for quite some time, I must admit. A perfume that somehow encompasses a cuisine without making me a) hungry or b) nauseous? I really didn't think it could be pulled off. Luckily, I was wrong. A combination of zesty fruits, fragrant leaves, delicate flowers, spices and nutty woods effortlessly comes together in the bottle to create a fragrance that's somehow calming and sensual at the same time. As soon as I spritzed it on, I felt at ease and at peace ... and not at all hungry, thankfully! (Though I did get a craving for Thai food later that night, so maybe that's a bit subliminal!) While the fragrance stays with you throughout the day, it's light and not at all cloying. And the bottle, oh, the bottle! I absolutely love buying Jo Malone fragrances for the simple fact that they are so elegantly packaged. Each bottle is nestled so perfectly within a cream-and-black box that's tied with a black silk ribbon, making it the perfect gift to give or get. 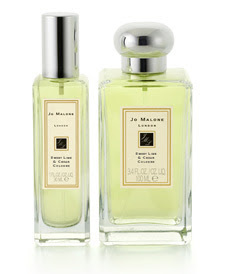 At $55 for 30ml or $100 for 100ml on Jo Malone's website, it's not cheap -- but it will make you feel absolutely fabulous every time you wear it.